For most people, getting stung by an insect involves pain and swelling at the site of the injury. However, for up to 3 percent of people in the U.S., an insect sting could be deadly. If you have a stinging insect allergy, discuss your treatment plan with your allergy doctor. 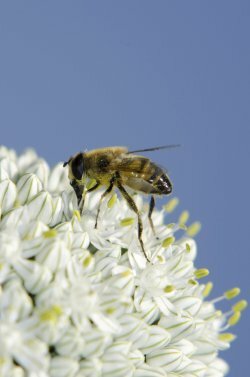 The symptoms of stinging insect allergies can range from mild to severe. For some people, an insect sting can lead to swelling beyond the site of the sting as well as persistent pain. Other people experience hives. Most dangerously, some people have anaphylaxis, a life-threatening allergic reaction that requires immediate treatment. Your allergist may prescribe a medication for you to carry at all times if you are at risk for anaphylaxis. Fellowship trained, board certified allergists/immunologists comprise the entire physician staff of Allergy & Asthma Specialists. Allergy doctors at this premier medical practice provide comprehensive allergy and asthma diagnostics and state of the art treatment, including three types of immunotherapy, at offices located in center city Philadelphia, Blue Bell, King of Prussia, Jenkintown, Doylestown, Lansdale, Pottstown, and Collegeville, Pennsylvania. Schedule today online at www.AllergyandAsthmaWellness.com or by calling 1-800-86COUGH, option 2.